In public squares across China, it is not unusual to see retirees practising dance, tai chi, or even singing. Wang Jinxiang is no different — except that she live streams her performances to an audience of thousands online. The 62-year-old is among a legion of senior citizens trying to make a name for themselves in Chinas massive social media scene, a world usually populated by the young. Undeterred by the frosty winter, Ms. Wang put on a show in a square by the Birds Nest stadium in Beijing. Which song do you want to listen next? she asked her 23,000 followers as she delivered an hour-long special. She began this hobby after her nephews teacher showed her the online singing platform Quan Min Karaoke two years ago. Immediately she fell in love. When I first started live streaming, I was faced with a lot of issues that were very troublesome. I was not that good at handling the technical things on the smartphone, she said. Ms. Wang feels she has found an outlet express herself and now spends two hours every other day of the week singing and performing live fashion shows. She explained: Quan Min Karaoke allows the elderly to exercise at home, sing better and show themselves on it. Im constantly thinking of new things to do everyday, what new tricks I can do for tomorrow to attract and entertain everyone,Ms. Wang added. Last year, a corn farmer from a remote cliff-top village became an online sensation by showcasing his daily activites and in 2017 an elderly couple, one of whom had Alzheimers disease, won millions of online fans simply by answering questions from the public. Society is actually unfair to the elderly nowadays, said Wang Kelan. 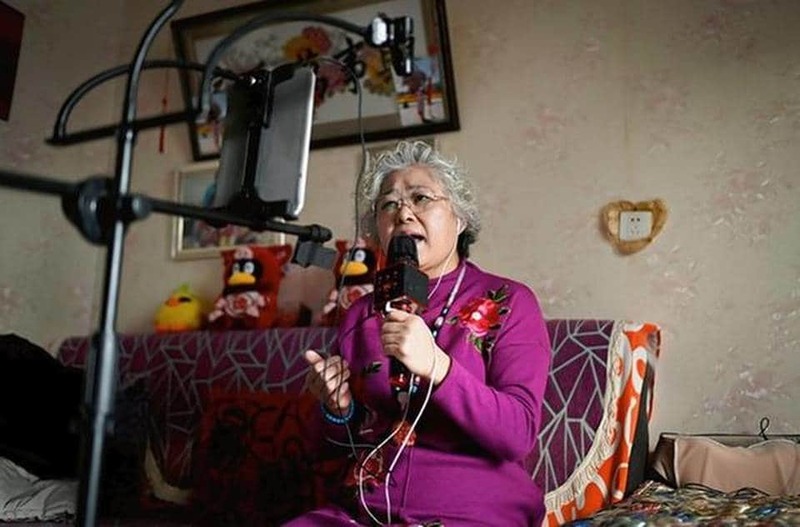 They said it was shameful to do live streaming at such an old age, she confessed, though she insisted that her love for the Internet outshines the toxic comments.